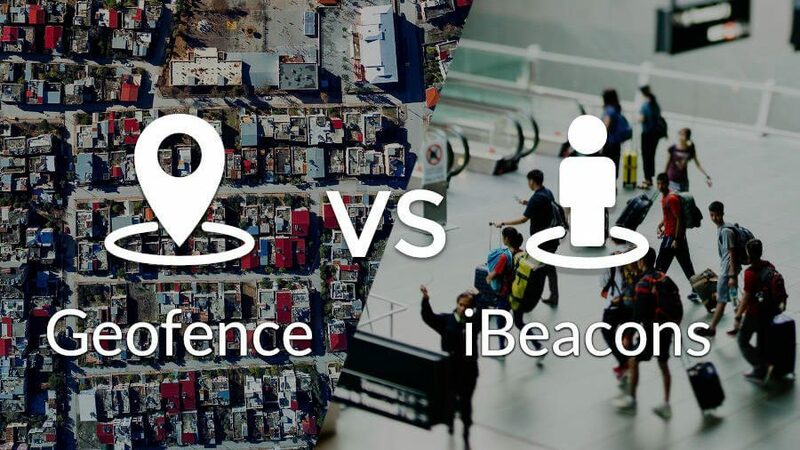 Geofencing vs iBeacons: Which one is best for your Business? Geofencing vs iBeacons: Which best suits your Business? Today, being on top of new technology trends is critical to stay ahead of your competitors. Location-based marketing technology is the latest trend and has seen tremendous growth and improvement in 2017. Through the use of innovative mobile technology such as ibeacons and geofencing, companies can now communicate with their customers with the right message, in the right location at the right time. Geofences & iBeacons try to achieve a similar goal, they both want to identify a user’s proximity to a location. Geofencing is a marketing technology that is innovative, timely and can put your organization or business right in front of potential customers when they are entering your target location. It enables marketers to send targeted, personalised messages to their users when they enter the defined geographic area. Geofencing works with a combination of GPS, cellular data, and also Wi-Fi data. It is a virtual perimeter that you can pinpoint a location on a map and then target customers that enter, dwell in or exit that location. This allows you to trigger the right message at the right time and place. Geofencing has wider targeting abilities than iBeacons. The minimum targeting range starts at 100 metres and expands out to a city, district or greater if required. On the other hand, an iBeacon is a piece of hardware that can be placed in a particular location.Beacons use Bluetooth to estimate your proximity to the device. As it uses so little power, a battery can last up to three years before you need to replace it. When you get within 50 metres of a beacon, it triggers the notification that you have entered its range. The beacon is unable to pinpoint your location on a map however, that is not its goal. The goal is to know if you are in the range of its signal and if so, how close. The app on a customer’s smartphone then receives this signal and transmits the data back to the mobile marketing provider. The provider may then automatically send a personalised push notification or in-app message to the customer. This is revolutionary for shopping centres as it will improve shopper engagement and drive revenue through their mobile app. Their app can target users by providing them with a personalised message with a discount for the store they have left or walked passed. The Xtremepush platform location functionalities are very easy to use, you simply add an address or drag and drop locations to start tracking location entries, exits and dwell time. 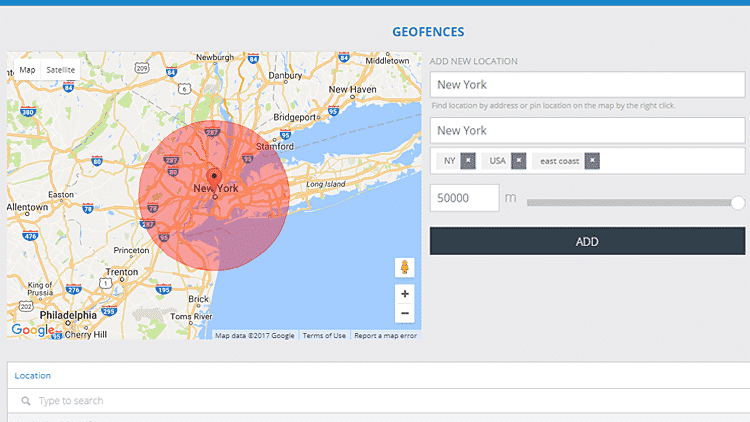 When using the Xtremepush platform you can upload an unlimited amount of geofences and iBeacon locations. Geofencing and iBeacons can help your business increase engagement and drive revenue. By using the Xtremepush platform you can easily manage unlimited beacons & geofences and build important relationships with your customers. Our powerful location-targeting functionality will allow your business to identify users in real-time and precisely target them at the right moment with personalised notifications that create demand. All the tools you need to achieve successful proximity marketing campaigns are on one single dashboard, from powerful analytics to campaign optimisation and intelligent delivery. With Xtremepush, Leinster Rugby were able to utilise proximity marketing with iBeacon and Geofences to engage their fans throughout the stadium with push notifications. Leinster fans who had the Leinster Rugby app received a push notification and were offered to upgrade their seat to a premium seat. This has had a phenomenal response with more than 25% conversion rate. To find out more click here. Xtremepush offers iBeacon and geofencing as part of our end-to-end mobile marketing cloud platform. The platform allows you to effectively engage at the right time with the right content in the right place. Have a question? Speak to our team today.